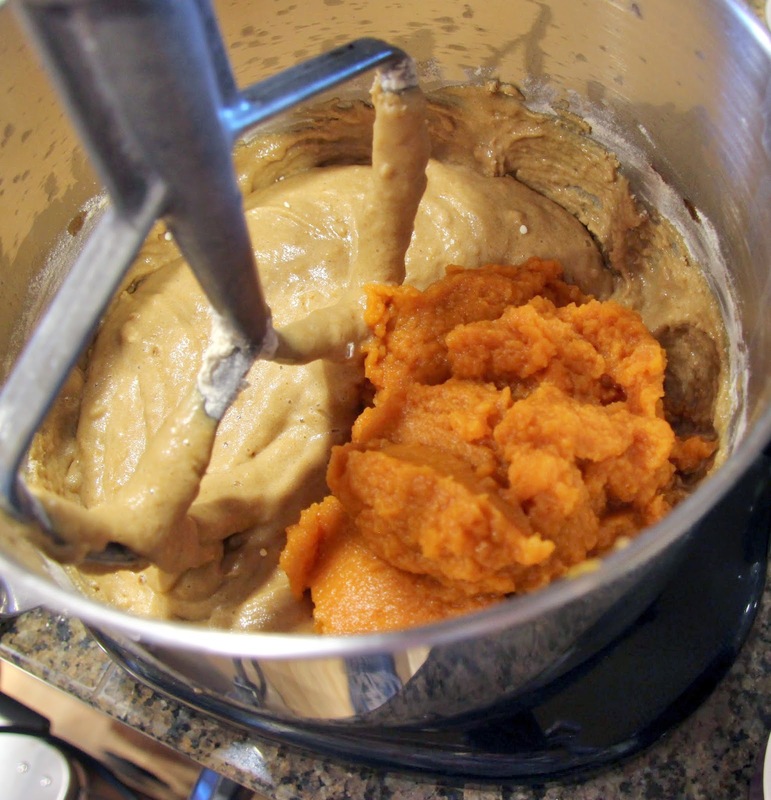 I had company coming a couple weeks ago and was all set to make my pumpkin bread when I realized I was seriously low on wheat flour, nowhere near the three cups I needed. So, emboldened by some luck I had with cupcakes this summer, I decided to use the gluten free flour I had on hand and see how it worked. I was very pleased as were my houseguests. Even Ella thought it was great which, if you’re one of the handful of people who actually follow this blog, you know is really saying something. 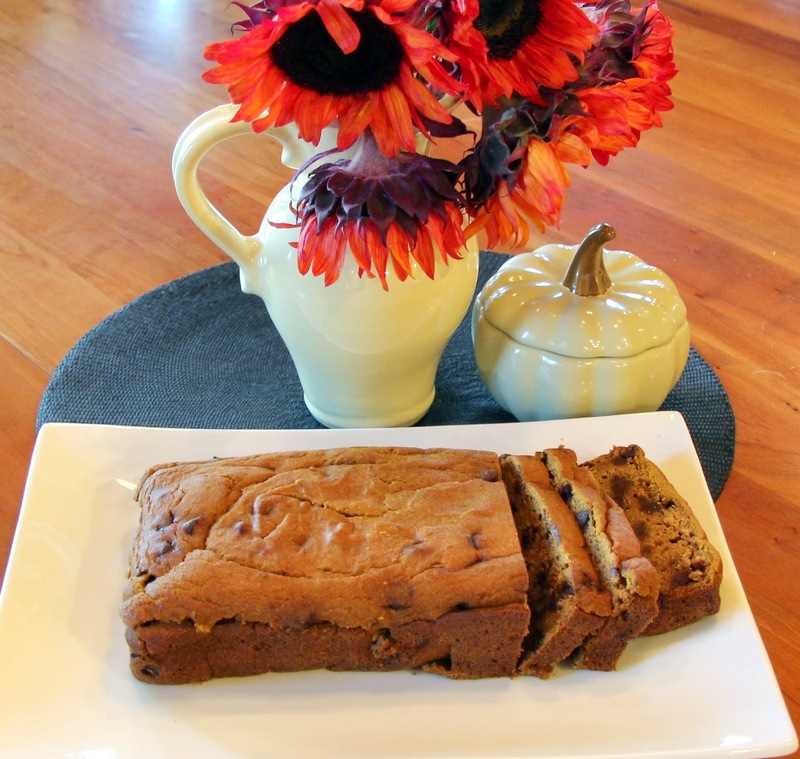 I daresay this recipe would even be quite good without the chocolate chips, perhaps adding some delicious pecans or walnuts instead. Of course we’d lose Ella at that point. I’ve seen a lot of commentary online lately about the gluten free diet being just another fad and there’s a particularly amusing video in which people interviewed have cut gluten from their diets yet have no idea what gluten actually is. In case you don’t know either, it’s a protein found in certain grains, the most common being wheat. I think there is some truth to the criticism although I think it’s sort of a ridiculous thing to criticize; live and let live already. For me, cutting carbs and starch makes a huge difference in how I feel but I don’t seem to have a particular sensitivity to gluten and I think that’s probably safe to say about many people. For a few of my close friends and family, however, that little protein can wreak havoc on their bodies and make them absolutely miserable. It’s for them I like to experiment! 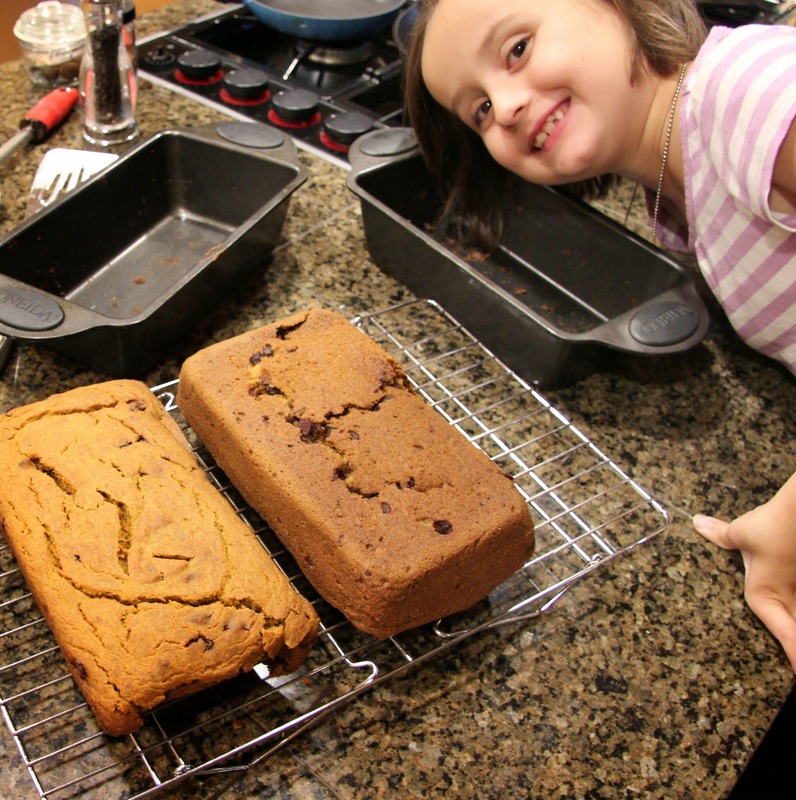 Gluten free baking can be a bit daunting, even for someone like me who loves to bake. Different rules definitely apply but I found some good tips from this blog this summer when I adapted my chocolate and vanilla cupcake recipes for my good friend’s baby shower. 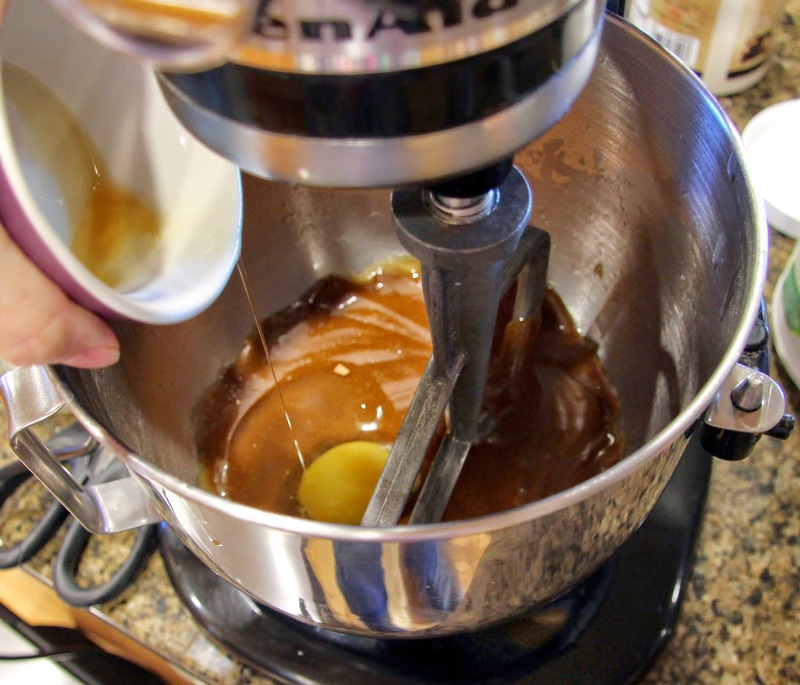 I think the most important thing I learned was the importance of allowing the batter to rest at least 15 minutes in order for the xanthan gum and starches to fully hydrate; also the amount of xanthan gum to add (1/4 tsp to 1 cup flour) and the benefit of adding extra liquids and eggs. 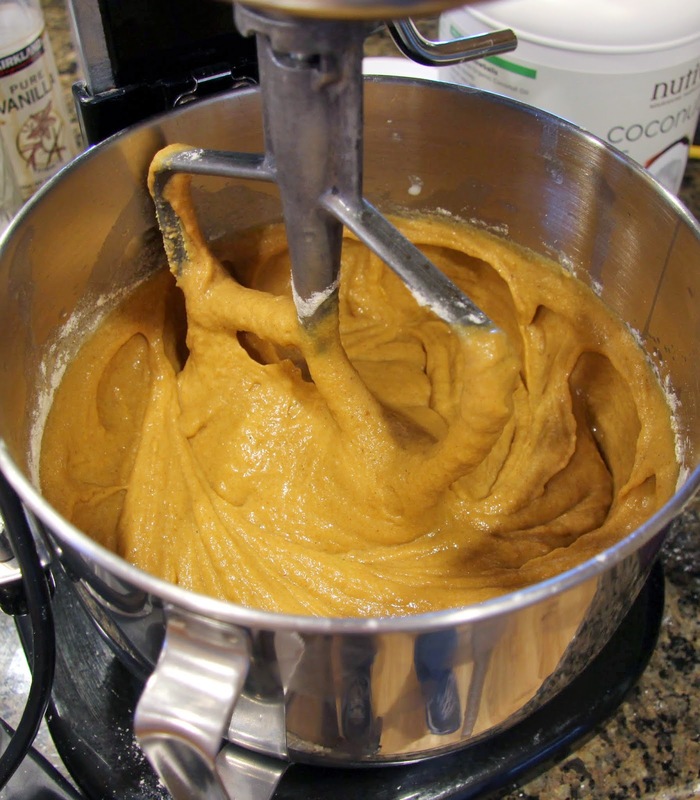 Oh, and this is important to add; the batter will not taste good. I thought for sure I would be tossing the cupcakes once they were baked because the batter was so awful but, to my delighted surprise, once they cooled the bad taste was totally gone. 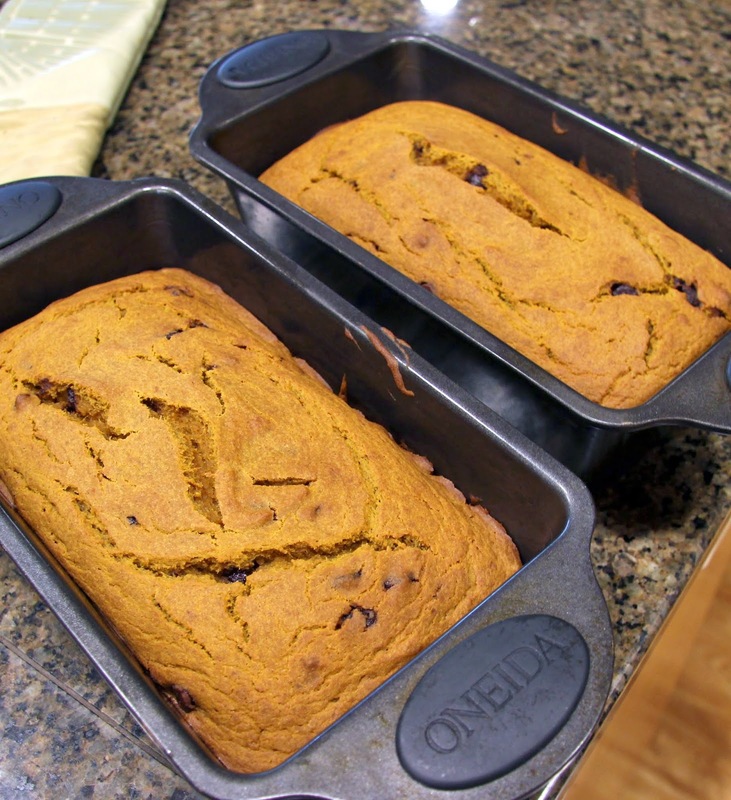 They turned out to be delicious, a little more dense and moist than the original recipes and I found the same result with this pumpkin bread. *I used Bob’s Red Mill all purpose gluten free flour, you may get different results from a different blend. 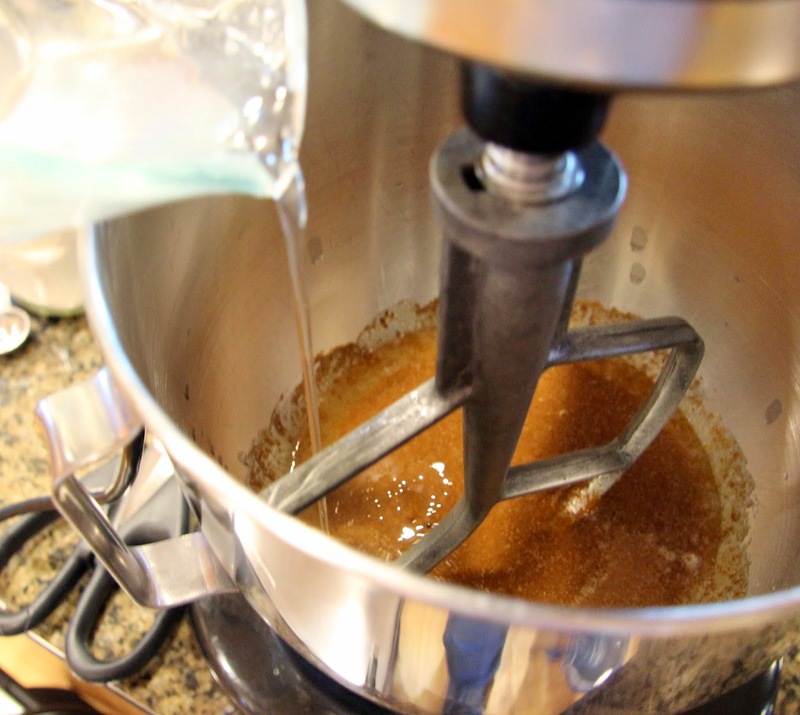 Also, some all purpose blends have the xanthan gum already added so make sure you read the ingredients. 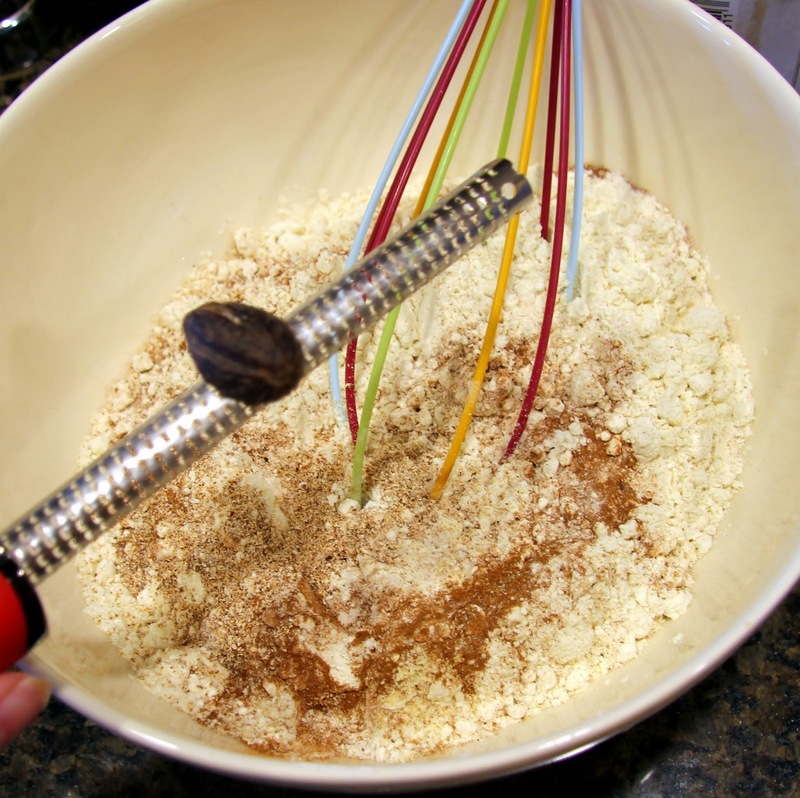 In a medium/large mixing bowl, whisk together flour, xanthan gum, baking soda, salt, cinnamon, nutmeg, allspice and ginger. Set aside. 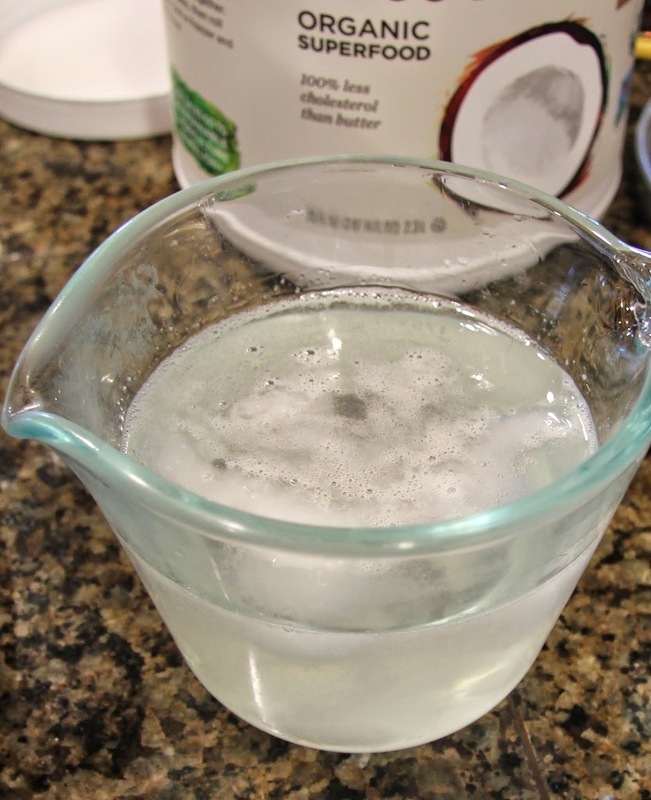 Melt coconut oil in microwave, cool to lukewarm. 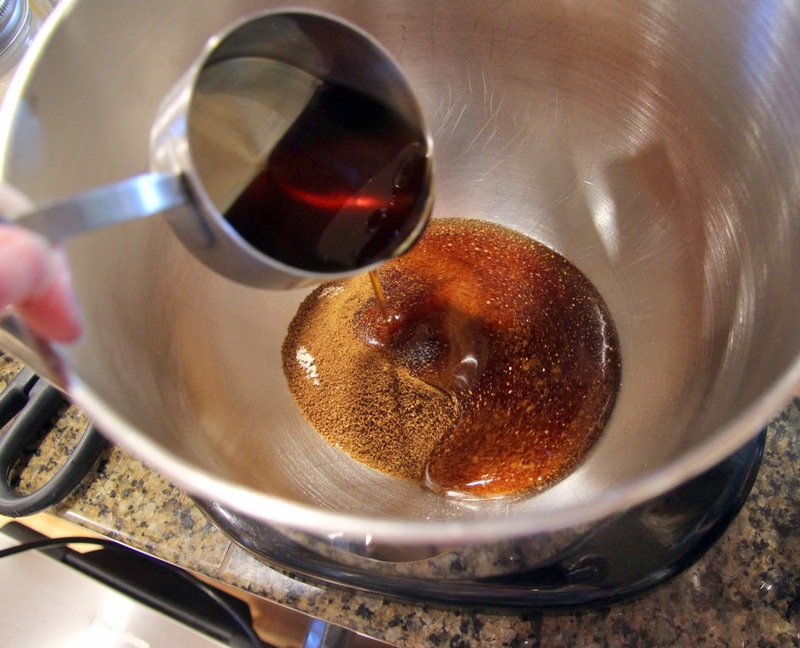 Place coconut or brown sugar and maple syrup in the bowl of a stand mixer or large mixing bowl. 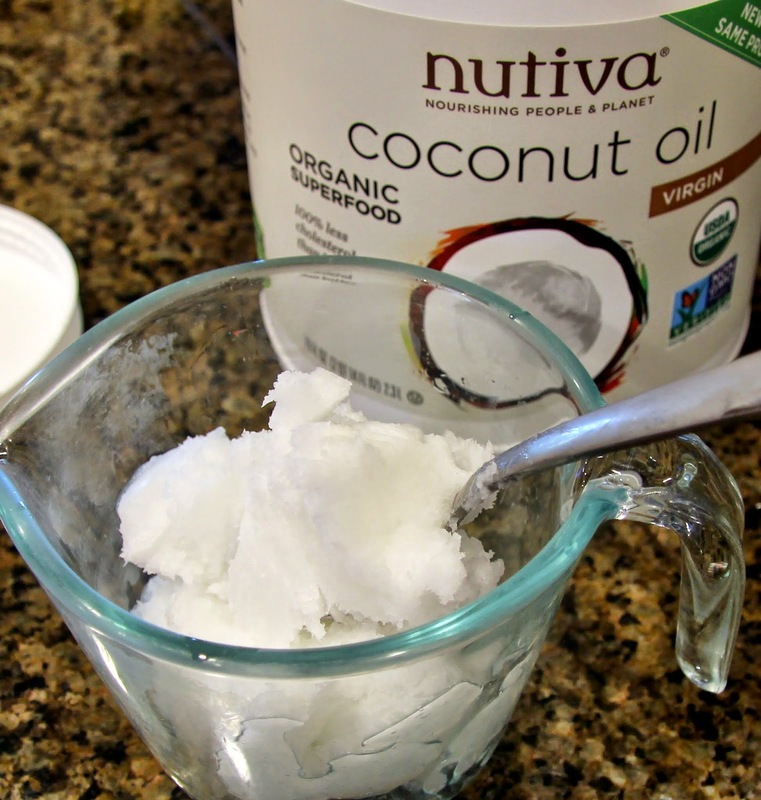 Add coconut oil and mix until well combined. Add eggs, one at a time, and mix until well combined. Add half the flour mixture, mix well. 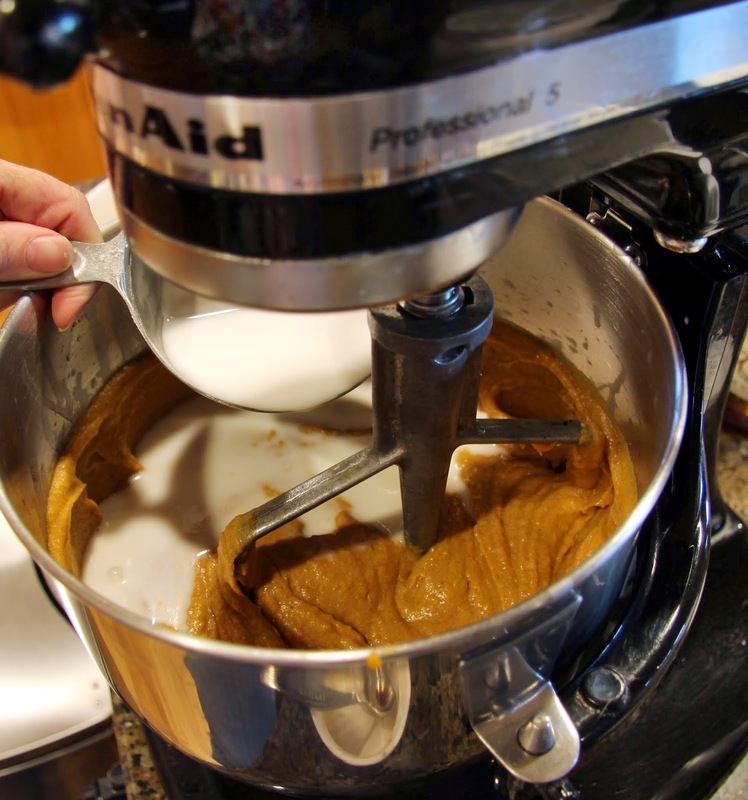 Add coconut milk, mix well, then add remaining flour mixture and mix until batter is fully combined. Preheat oven to 350 degrees. 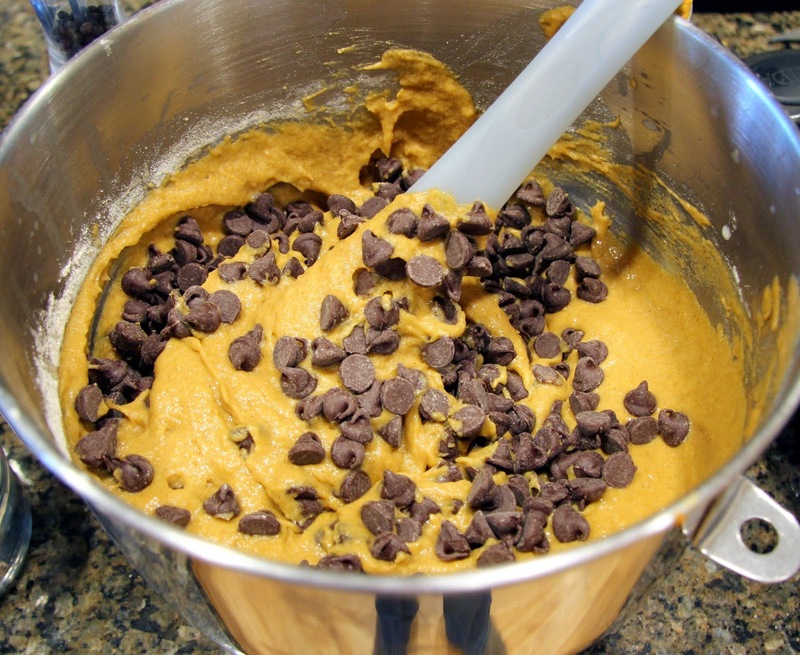 Allow the batter to rest 15 – 20 minutes before adding chocolate chips. 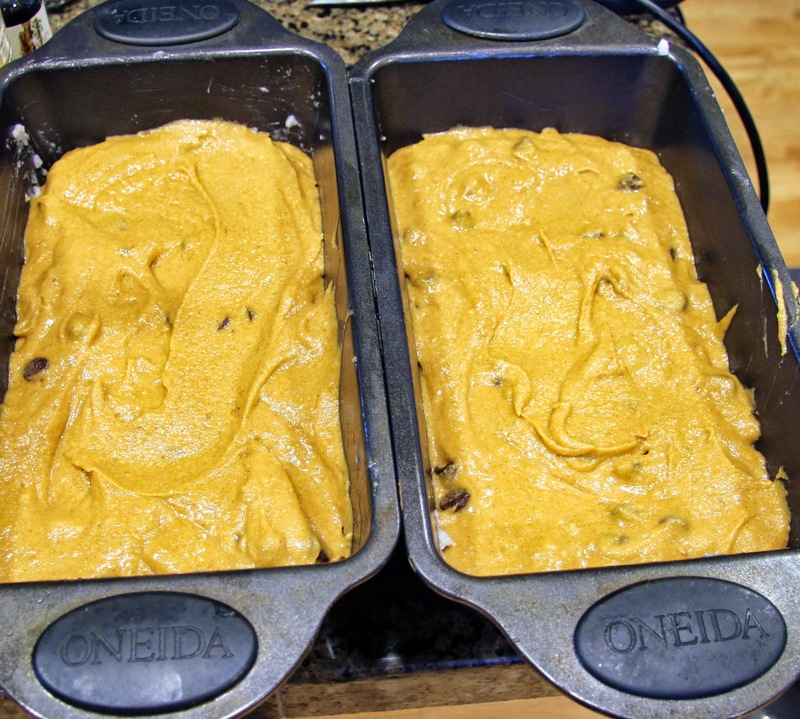 Coat two loaf pans with coconut oil or cooking spray and divide the batter evenly between the two pans. Bake 45 – 55 minutes in preheated 350 degree oven. The tops should be cracked and a sharp knife inserted in the center of the loaf should come out clean. It’s important not to under-bake the loaves! Allow them to cool in the pans for 5 minutes or so then transfer to a rack to cool. If you look closely you can see one of my loaves totally stuck to the pan and fell apart. Like I said, I screw up sometimes. It was still good. Ella was amused. We get so stuck in our roles, don’t we? I think it’s exhausting. Here’s a little something to think about, perhaps meditate on, on this beautiful fall Sunday… But not for too long – don’t forget to just enjoy the day!